The “green” we’re hoping for has to do with a frog – Project Moor Frog. 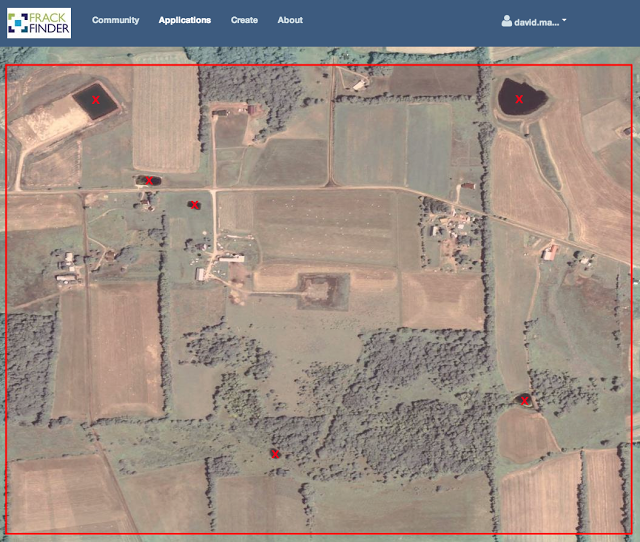 This map shows the status of our current FrackFinder project, where we are asking skytruthers like you to find wastewater ponds and fracking pits in Pennsylvania’s Marcellus Shale. 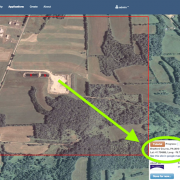 We’re 80% finished, but we need some fresh eyes with a little time to help us review aerial photos of fracking sites across the Keystone State. 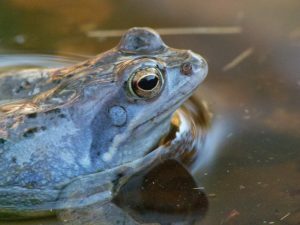 We show each image to ten different volunteers and some of our star volunteers (like Lori Marshall who has reviewed all 4,140 sites) have already looked over all the images for this phase of the project. That means we need new people to confirm their answers so we can build an accurate map of all the fracking activity in Pennsylvania. (More states are coming soon, but one step at a time). To help us out – click the button below, sign up and start skytruthing! 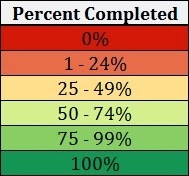 We’ll give you a brief tutorial to show you how to find and mark ponds, then you can help us turn the rest of our progress map green! Just be the first to let us know where you found this distinctive site (see the instructions below) and we’ll send you a limited edition embroidered patch from our skytruthing mission to North Dakota, SkyTruth stickers, and our eternal thanks! Instructions: Once you start marking ponds in the FrackFinder app you will see a pop-up info box in the lower-right corner of your screen (see example below). 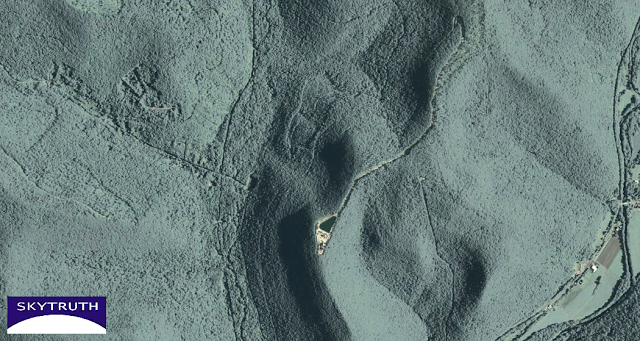 Here you’ll find information about the image you are viewing and a link to “see this site in Google maps.” When you find the site shown above, click the Google Maps hyperlink and copy the URL from the page that opens. 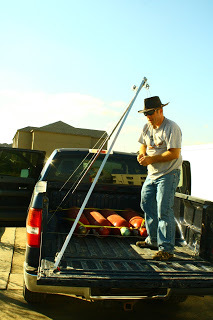 That link has the GPS coordinates of the mystery site and our custom site ID. Share the URL with us on Facebook (https://www.facebook.com/SkyTruth) or send it an email to crowd@skytruth.org and we’ll be in touch to send you your winnings! Be sure to open the pop-up box in the lower-right for more information on the site and to see the site in Google maps with the latest imagery. https://skytruth.org/wp-content/uploads/2013/12/ScreenShot2013-12-31at2.08.24PM.png 444 640 David Manthos /wp-content/uploads/2016/08/test_logo.png David Manthos2013-12-31 20:54:002019-02-14 11:08:42FrackFinder PA - Project Moor Frog: Help Us Start 2014 in the "Green"
That was fast! We are almost back to that arbitrary point in the Earth’s orbit that most people recognize as the end of the year. That means you’re almost out of time to send some money to causes you care about in exchange for a smaller tax bill next year. So instead of letting Congress decide (or not decide) what to do with your tax dollar, we’re hoping you might make a donation to your friendly eyes in the sky – SkyTruth. Testimony to Congress: In May, we were invited to testify before Congress on an upcoming rule that would govern hydraulic fracturing on millions of acres of public land. We gave our recommendations about how to make fracking more transparent, but were disappointed by the very misleading debate about the risks and alleged safety of fracking. Later in the year we addressed some of industry’s favorite claims about fracking in a piece titled: Word Games are Misleading the American Public About Fracking. 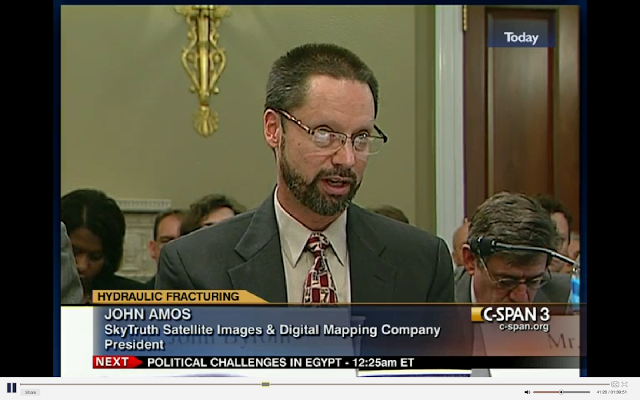 Washington Post Magazine: But even before John sat down in front of members of Congress, word of our work with satellite imagery and big data had caught the attention of editors at the Washington Post Magazine. 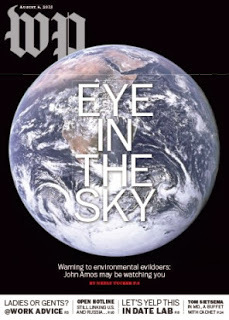 In August, thousands of people opened their Sunday paper to find a feature story about SkyTruth – your “Eye in the Sky.” This story opened the door for opportunities to speak at major actors in the science and environmental community such as NASA Goddard, the World Wildlife Federation, and the World Bank. 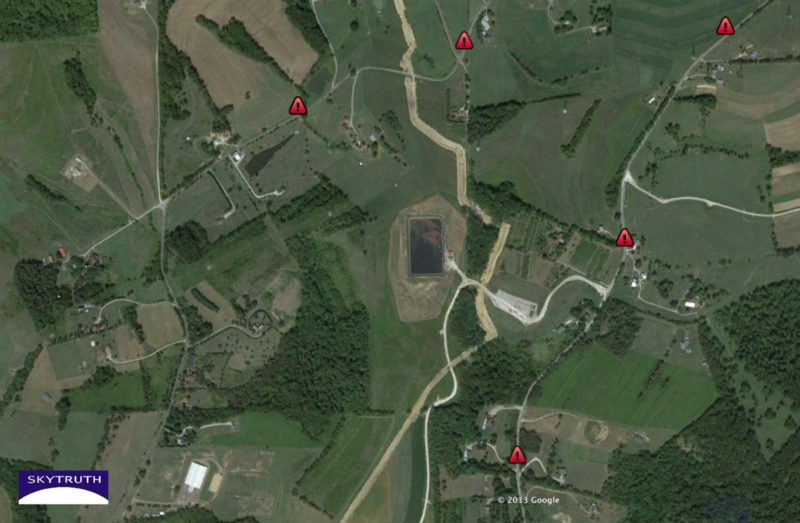 You don’t have to donate money to help SkyTruth, we need your help to finish mapping fracking ponds in our latest FrackFinder project. Sign up and start skytruthing! 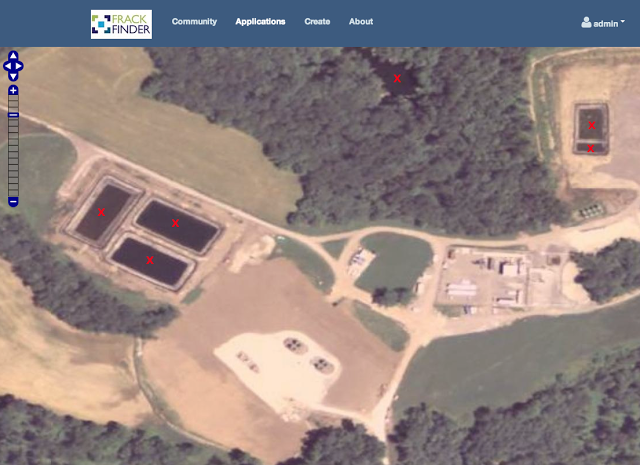 FrackFinder: This year we also took a big step toward creating the skytruthing movement, with two FrackFinder projects that allow anyone to help us map the environmental impacts of shale gas drilling in Pennsylvania’s Marcellus Shale. Right now we are asking volunteers to help us find fracking waste ponds so researchers at Johns Hopkins can find out if there is a correlation between fracking and health problems caused by air pollution. In the near future we hope to expand these collaborative image analysis projects to new states and other issues like oil spills and mining. 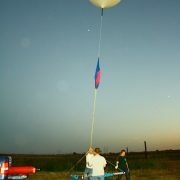 Skytruthing the Bakken: With growing public attention on wasteful natural gas flaring in the Bakken Shale, and new satellite data to help us investigate the problem, over 65 people generously helped us raise $4,100 to launch a skytruthing mission in western North Dakota. 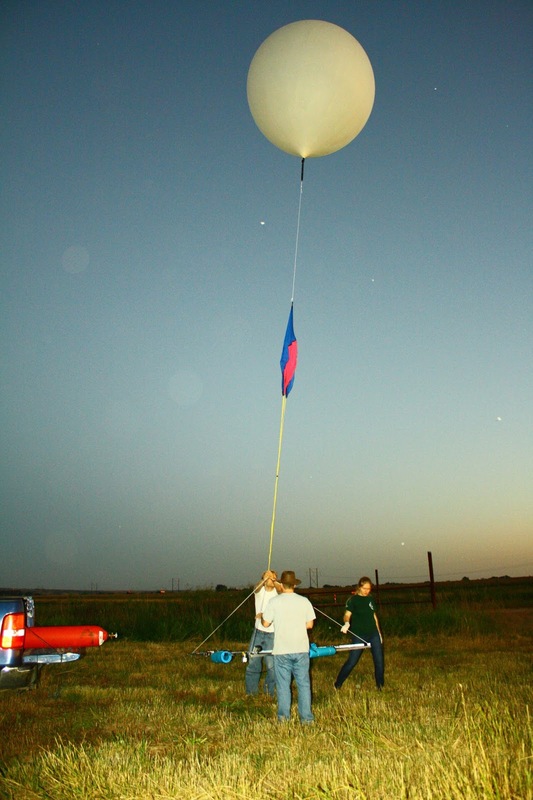 On the night of Sept. 1, we launched cameras and sensors on a high-altitude weather balloon over the oilfield, and recovered the rig 135 miles away near the town of Zap. We’re editing a short documentary about this expedition and we plan to release it early next year in conjunction with a dynamic map of global flaring activity. 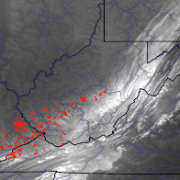 MTR Database: Our database tracking the footprint of mountaintop removal (MTR) mining in Appalachia continues to be used in ground-breaking research on this destructive mining practice. Two new peer-reviewed papers citing our database were released in 2013, one measuring the increased occurrence of depression in regions impacted by MTR and the other tallying the cumulative affects of mining on forest cover and other less-studied variables in mined ecosystems. The full list of studies supported by this unique satellite-derived database can be found on our redesigned website – www.skytruth.org. YOU are the future of SkyTruth! We’ve had a lot of milestones in 2013, but we need your help to carry the momentum forward into the new year. 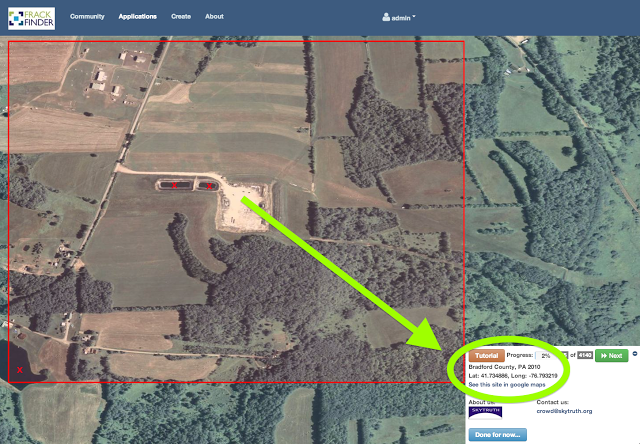 We’re making big steps toward launching a skytruthing movement, taking imagery and putting it where anyone can help study issues like fracking through simple image analysis tasks. We’re cultivating ways to use satellites to tackle illegal, unregulated, and unreported (IUU) fishing on the far side of the globe and tracking wasteful natural gas flaring around the world. Virginia, Kentucky, Virginia and Tennessee, as of 2005. Your support can help us update this important dataset. 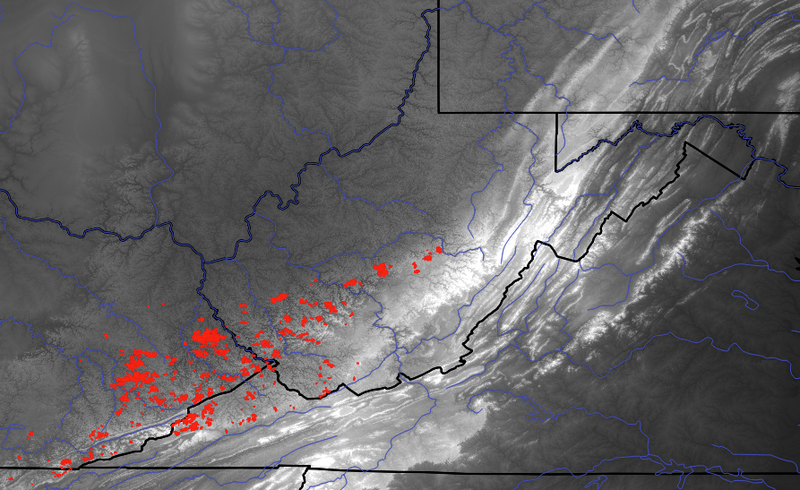 In 2014 we need to overcome the technical limitations that have prevented us from updating our FracFocus database since June, and we hope to map new mountaintop mining since 2005. 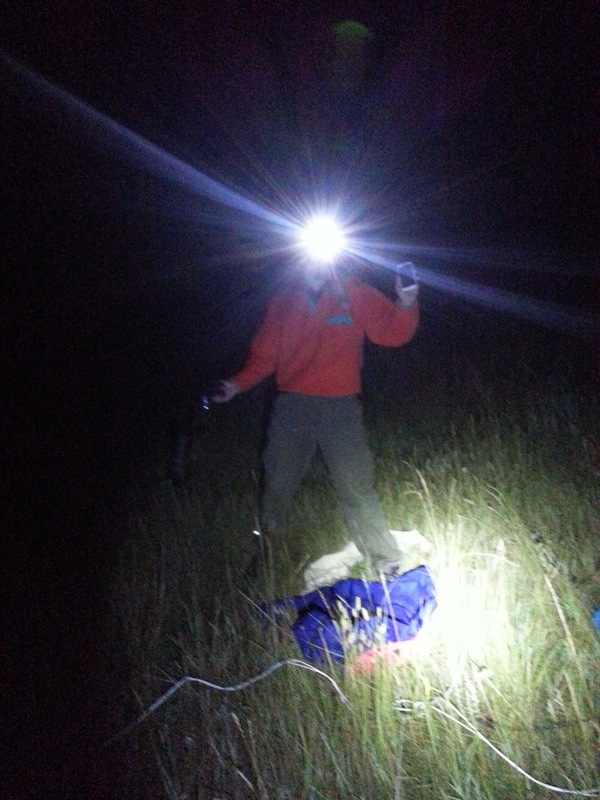 Ultimately, we aim inspire the skytruthing movement, where anyone can easily access the data and imagery needed to understand environmental issues and protect the places you care about. P.S.Don’t wait! The Earth is hurtling toward the end of the year at 67,062 miles per hour! https://skytruth.org/wp-content/uploads/2013/12/Whole.MTR_.Set_.png 196 320 David Manthos /wp-content/uploads/2016/08/test_logo.png David Manthos2013-12-23 23:32:002019-02-14 11:09:402013 in Review: SkyTruth – the Friendly "Eyes in the Sky"